There is something strange in the neighborhood. Sonic Legend is set on the fictional planet of Mobius. Dr. Robotnik has created a vast empire and currently controls most of the world. It is up to Sonic the Hedgehog to find the lost Chaos Emeralds and bring the planet back to peace before time runs out. Sonic and his friend Tails set out to collect the emeralds and along the way meet Knuckles the Echidna and Amy Rose who join their quest to destroy the evil empire of Dr. Robotnik. The Wiki page even noted at one point a 3 year collaboration with Prope on the project. 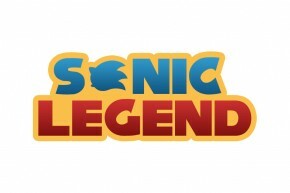 To top it all off, the page at one point noted that Legend would combine gameplay elements from the first 3 Sonics and Sonic & Knuckles, and pare it with some elements from the Saturday morning television series. Too bad it’s all bunk. To be sure, we checked with one of our Hoaxbusters, Sonic Retro’s forum head Tweaker. We showed him the link, and he nearly immediately discredited the information–something many of the board’s forum members had agreed on. As it turns out, if there’s any truth to the existence of a Sonic Legend, it may be in fan game form. We found this trailer hastily put together on Tuesday. The problem is that the website it promotes doesn’t exist…though the domain SonicLegend.org appears registered. If nothing else, this hoax may serve to show how starved Sonic fans are for actual new information on Project Needlemouse. But as to whether there’s any correlation between that and this…well, there just isn’t. We’re still waiting on legitimate information on Project Needlemouse. Until that time comes, though…for all potential pranksters, when it comes through our door (unless we want some more,) you bet we’re gonna call…Hoaxbusters!